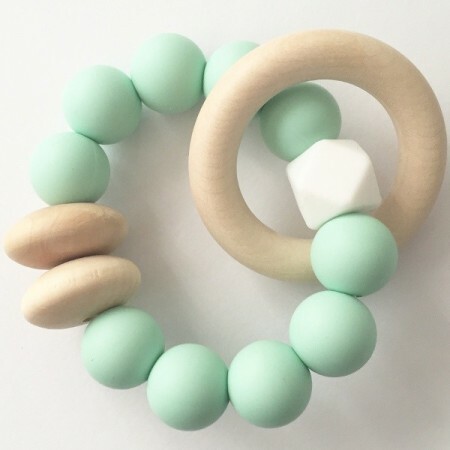 Tiny Teethers multi-sensory teether made from BPA free silicone and natural, untreaded wooden beads. Soft, lightweight and easy for little hands to grip and hold onto. Non-toic. Australian made. 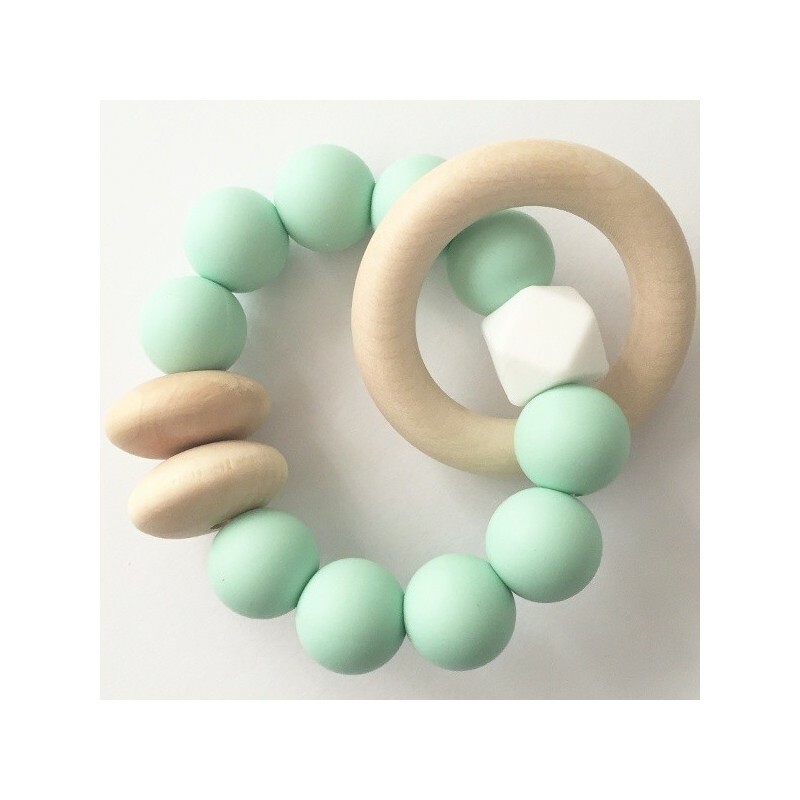 mint and wooden beads with wooden ring. All Tiny Teether's teether's are made using food grade silicone which are free from phthalates, PVC, cadmium and are BPA and lead free. Comprised of 13 chunky silicone and wooden beads. 9cm diameter. Beautiful quality product. It’s well made and durable. Only problem I had is that it was too large for my sons mouth when he first needed it. My daughter loves this teething ring. It keeps her occupied and I love the colours!